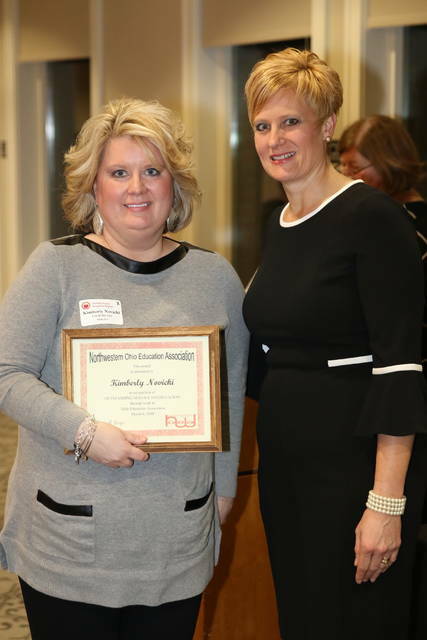 LIMA — Two Elida teachers received Northwestern Ohio Education Association Promising Leader Award. 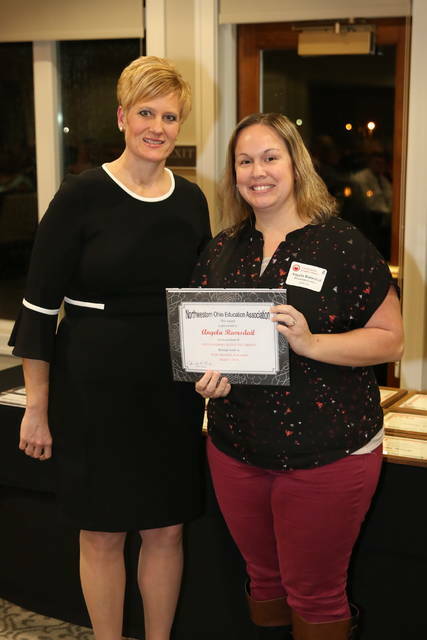 Elida seventh grade teacher Angela Ramsdail has been an active member of the Elida Education Associate during her five years of teaching. She was an assistant treasurer with the EEA for two years and is currently the secretary. Kimberly Novicki has been a member of the EEA and an elementary music teacher at Elida Elementary School for 19 years. She is currently serving her third year as the EEA treasurer. She has received Elida Optimists Teacher of the Year Award and been named teacher of the week and employee of the month before.